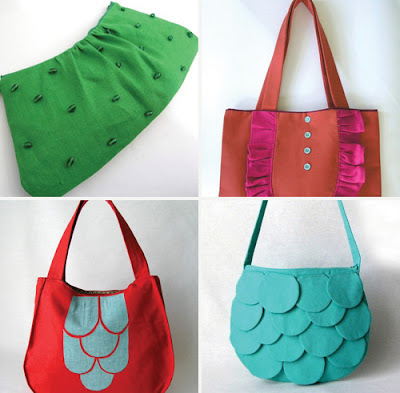 Check out these colorful bags from Etsy shop Erica Bazile. Ooooh, I have seen these, and I love the blue scaly one and the one with the frilly shirt look. Your blog is so great - I added it to my blog love list - hope you don't mind!